An aristocratic French family, a legendary château, and buried secrets with the power to destroy two generations torn between duty and desire.La Côte d’Azur, 1998: In the sun-dappled south of France, Emilie de la Martinières, the last of her gilded line, inherits her childhood home, a magnificent château and vineyard. With the property comes a mountain of debt—and almost as many questions . . . Paris, 1944: A bright, young British office clerk, Constance Carruthers, is sent undercover to Paris to be part of Churchill’s Special Operations Executive during the climax of the Nazi occupation. Separated from her contacts in the Resistance, she soon stumbles into the heart of a prominent family who regularly entertain elite members of the German military even as they plot to liberate France. But in a city rife with collaborators and rebels, Constance’s most difficult decision may be determining whom to trust with her heart. 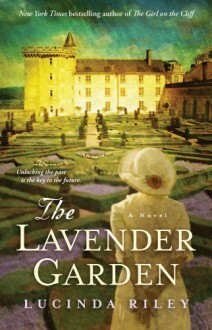 As Emilie discovers what really happened to her family during the war and finds a connection to Constance much closer than she suspects, the château itself may provide the clues that unlock the mysteries of her past, present, and future. Here is a dazzling novel of intrigue and passion from one of the world’s most beloved storytellers. Note to readers: In the UK, this book is published under the title The Light Behind the Window.